One of the things I most appreciate about Bethlehem Baptist Church is that in addition to just being “John Piper’s church,” (missional, gospel-centered, Christ-affirming, word-hyphenating), it’s a church that’s so focused on the gospel that all sorts of smaller applications just sort of seep out of the church. Practicing Affirmation is one of these. While it isn’t a headline, marquee book like John Piper’s The Pleasures of God or Jason Meyer’s new book Preaching, Practicing Affirmation is a valuable look at a smaller spot of the Christian life: one that we often forget about altogether. Sam Crabtree builds his book around the idea of affirming God in the people around us: even those who aren’t believers. Encouragement, he argues, should be the currency of our speech. Crabtree challenges us to build up a pattern of encouraging speech. Not only does this strengthen our relationships with those around us, but it enables us to give correction in love and have faith that it will be heard. He uses the idea of affirmation as a bank account: too much correction overdraws the bank account, making it land on deaf ears, and eventually, seal off all communication in the relationship altogether. The most radical bit of this book is Crabtree’s assertion that affirmation must be God-centered, pointing to the image of God in those around us (and imaging God in our building up and love for those around us). Some may argue that this isn’t necessary, that “Good job” does just as much good as “I see Christ when you do that.” Personally, I found myself put off by this when I started the book. “Why drag God explicitly into everything you say? Isn’t that overkill?” Indeed, in some places Crabtree uses an example that doesn’t sound like anyone would ever say, or presents something that may be just a bit overkill. But his overall picture is far more balanced than I initially perceived; and he’s not, as I thought, saying that we can’t affirm anyone unless the word “God” is in our sentence. Instead, he presents the image of a funnel: on the very top, throwaway compliments like “Good job;” following that are affirmations that build up the person, “You are really diligent to get your work done;” and culminating in God-centered affirmation, “Your diligence really reflects how God made us to be.” Breaking apart his argument into this funnel helped me a good deal: Crabtree isn’t saying that we cut everything above the last level out of our speech: just that that part of the funnel should be where our priorities and engagement really rest. This may be the most practical book I’ve ever read. 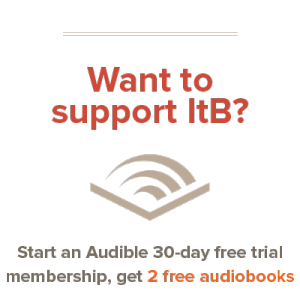 Like any book that’s true, I really wrestled with it — you could say I was desperate to discount it; because if you listen to a book like this, you must put it into practice. Practicing Affirmation will change this area of your life completely if you let it, and slowly, it’s kickstarted that process in my own life. I’ve been trying to intentionally model this book in my marriage, and hope that the habits built there will ripple outwards over time. 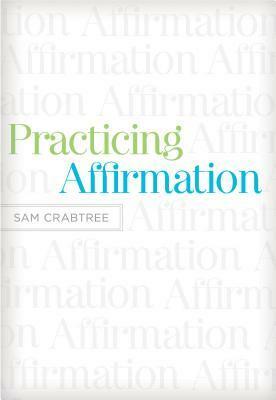 Practicing Affirmation is as practical as the title implies — the last chapter is nothing but a list of ideas on how to affirm and build up people — so there is no excuse for putting off what Sam is advocating. Practicing Affirmation is doing for me in relationships what The Treasure Principle and other books have done for me in generosity, or what Disciplines did for me in growing into manhood (warning:very old reviews). I’d highly recommend it to you: it’s a thin little book that won’t take long to get through, but its impact will be long-lasting.